House Intelligence Chairman Devin Nunes said he is “actually alarmed” by evidence he’s uncovered showing that members of Donald Trump’s transition team were under surveillance by the Obama administration following his victory in the November election. In fact, Nunes claims that some of Trump’s personal communications may have been swept up in the collection efforts. This all in spite of the liberal media endlessly and hysterically attacking Trump for making those claims. Does the information having been collected legally justify the fact that it was disseminated throughout multiple agencies? Nunes briefed House Speaker Paul Ryan on his findings and said he would soon present the information to the White House. The findings run counter to statements FBI Director James Comey made during his testimony before Congress in which he said he “has no information that supports” Trump’s allegation regarding Obama administration surveillance. 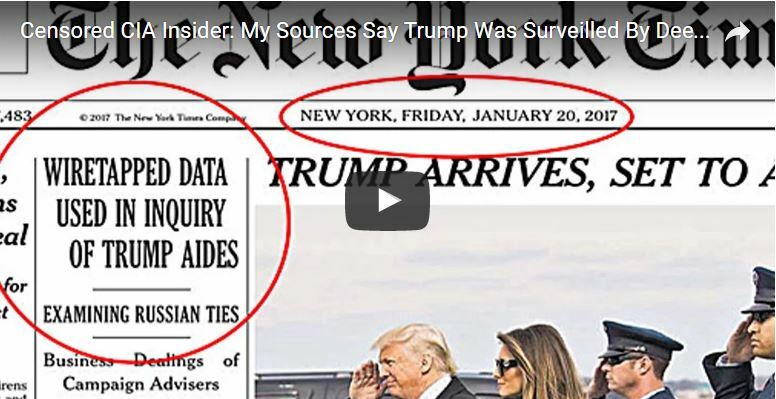 The New York Times first reported on wiretapping of Trump associates back in January, but later walked back those allegations when the rest of the media insisted on mocking the President for thinking he could have been under surveillance. Nunes revealed that members of Trump’s team beyond Michael Flynn were under surveillance and that the president-elect at the time may have had personal communications picked up. “I’m actually alarmed by it,” Nunes said.